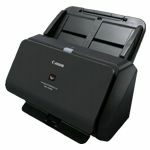 The Kodak ScanMate i940 is a very compact scanner, transportable and ideal for scanning jobs on the road or within office environments. 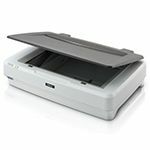 Besides its small size on your desktop, the Kodak ScanMate i940 can cope with an array of scanning jobs easily, quickly and efficiently. The SmartTouch function automates scanning operations and allows you to save, process and send documents using just one button. Using the USB power supply the Kodak ScanMate i940 is now completely portable. Downloading to the Cloud (Evernote, Box.net, Google-doc’s, Microsoft Sharepoint Server or WebDAV) allows continuous access to the scanned documents. 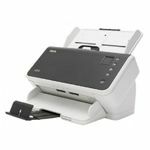 The Kodak ScanMate i940 is suitable for handling all types of documents (business cards, ID cards, long documents (152.4 cm max. ), embossed cards etc). 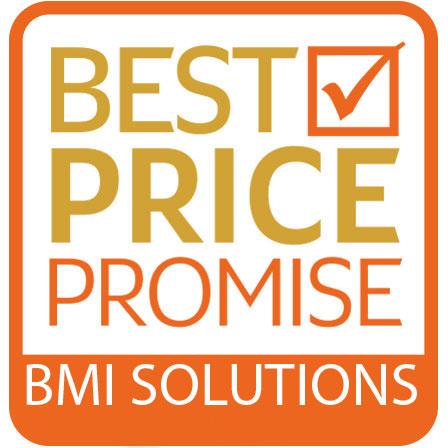 With the bundled Kodak Perfect software, the scanner comes with automatic processing features such as realignment, deskew, rotation, realignment, colour dropout and blank page removal. 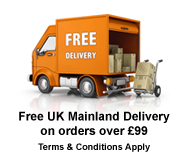 With the additional bundled software of NewSoft Presto! BizCard you can edit and synchronise business card data with contact management applications. 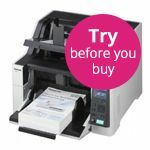 With a scan speed of 20 pages per minute in Black and White and 15 pages per minute in colour and an automatic document feed capacity of 20 sheets, the Kodak ScanMate i940 is capable of handling up to 500 pages/day.